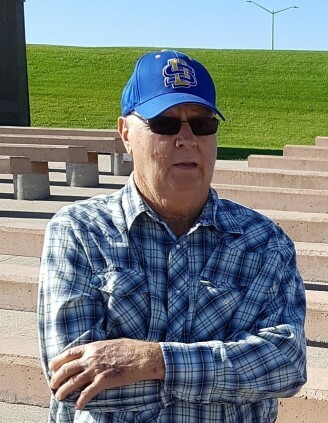 Warren E. Mays, age 71 of Big Springs, passed away peacefully on November 13, 2018 at his home on the family ranch. Warren was born in Eads, Colorado on August 30, 1947 to Johnny and Sallie (Brown) Mays. As a young man, the family moved to Benkelman, Nebraska, where he graduated from Benkelman High School in 1965. He moved to Denver, Colorado that same year, where he worked for Tempte Manufacturing for a short time, returning to Benkelman to work for Miller Disc Manufacturing. Warren was drafted to the Army on October 11, 1966, and was deployed to Vietnam, in The First Calvary Division. In October of 1968 he returned to Denver and went to Barber School. He moved to Fort Collins in 1969 where he met his wife, Marcia Dilky. The two were married on June 7, 1970 in Fort Collins. They moved to Big Springs in 1972 to their ranch. Warren owned and operated his own barbershop, in Big Springs, Gentlemen’s Choice, for 44 years until he was diagnosed with terminal cancer. Warren enjoyed hunting deer, geese, and ducks with his family and friends. He had an aim that wouldn’t miss. The ranch was his true passion. He worked hard making sure the cattle were taken care of. He also enjoyed the mountains and going to Estes Park, Colorado. He enjoyed hiking around his favorite lake, Little Lake. He liked searching for that large herd of elk. He was preceded in death by his mother, and 1 brother, John Dean Mays. Warren is survived by his father, Johnny Mays of Scottsbluff; wife, Marcia of Big Springs; 1 daughter Angelena Mays of Big Springs; 1 son, Justin (Becky) Mays of Indianola, Iowa; 1 brother Dwayne (Vanessa) Mays of Ogallala; and 3 grandchildren, Madison, Dayton and Macie Mays. A Celebration Of Life will be held on Friday, November 16, 2018 at 10:00 a.m. at the New Hope Church in Ogallala, with Pastor Eric Wait officiating. Burial will be in Big Springs Cemetery. Services will be live streamed and may be seen by clicking on the Watch Live button above. A memorial has been established for the Big Springs Fire Department and Ambulance Squad. On line condolences may be sent by signing the Guest Book.